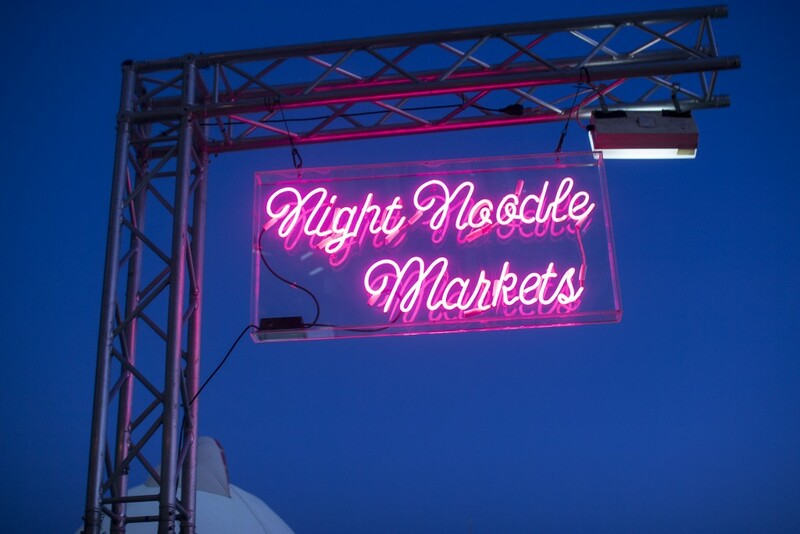 The Night Noodle Markets, as part of WAToday’s Good Food Month presented by Citi is back and starts tonight. 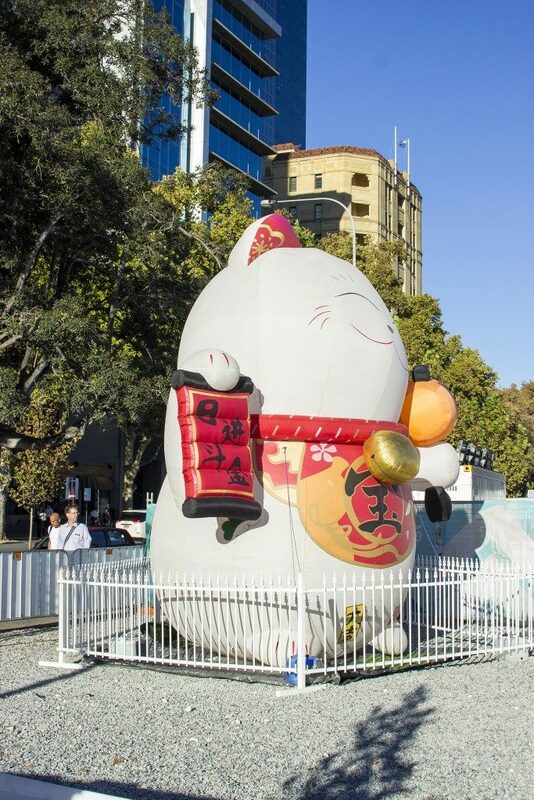 Think fresh air from being located at Elizabeth Quay, the buzz of a recreated Asian night market and all those wok fired scents that just make your tummy rumble instantly. With 23 different stalls to choose from, I’m feeling ready to munch my way through the food on offer. And even better, it’s on until Sunday 2 April so there’s plenty of time to get your feed on. Here’s my review of last year’s event and I think this year its sounds like we’re in for bigger and better things. 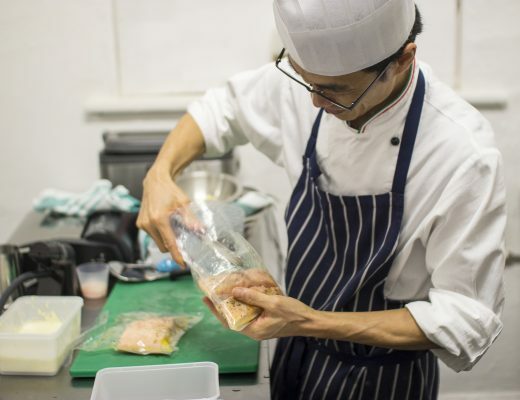 Some of the popular stallholders include locals and east coast contenders Taiwan Noodle House, Bao Stop, Miss Chow’s, Hoy Pinoy and Black Star Pastry x N2 Gelato and more. What’s pretty cool this year too is a lot of the stalls are working with Menulog so people can sit in the designated Menulog seating area and avoid queuing up – ordering through their staff instead. For the sweet toothed inclined, headliner Gelato Messina is coming our way with flavours including great balls of fryer, a spiced banana gelato, deep fried with mango pudding and passion fruit caramel. 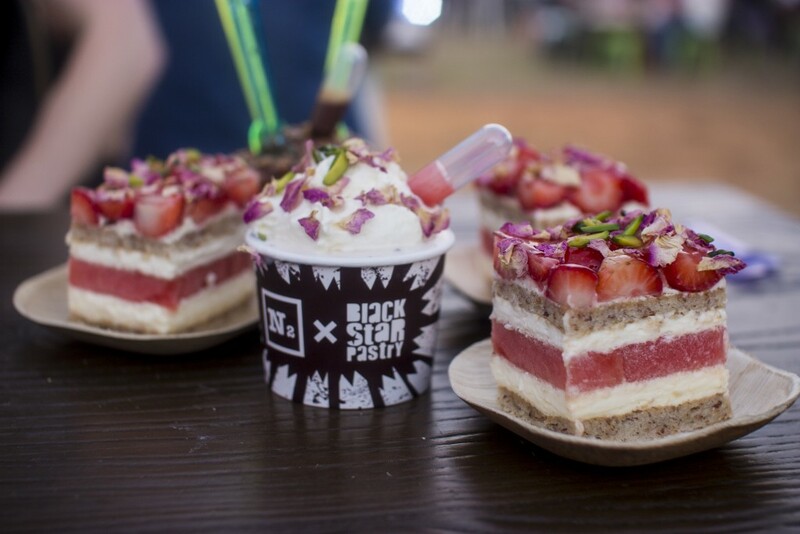 Personally I plan on getting my lips around more of that stunning watermelon rose cake from Black Star that I ate way too much of last year. However before dessert comes dinner and that’s where SpanThai is the ideal stall to check out. 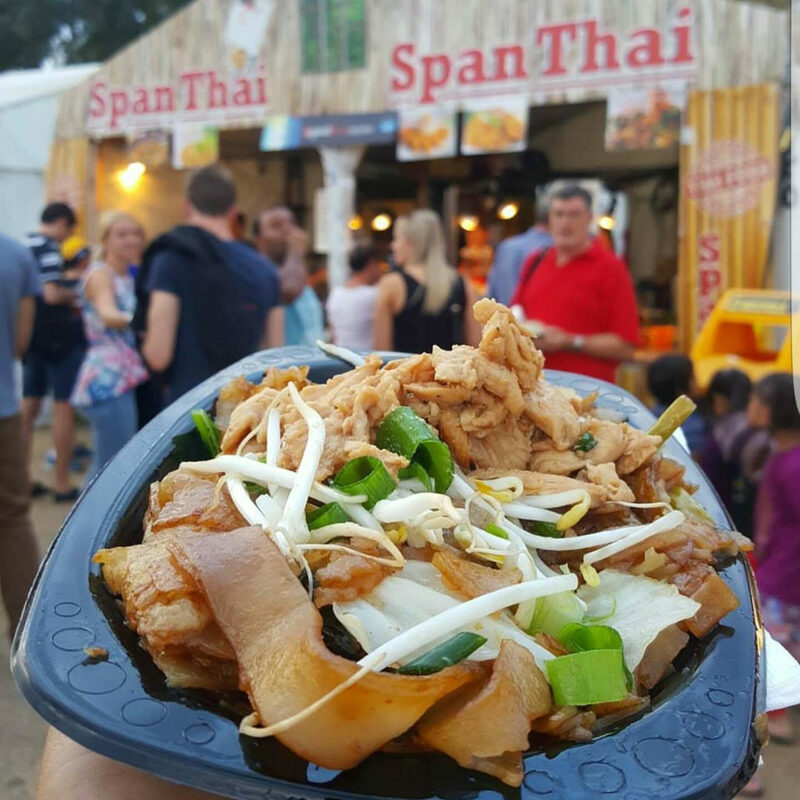 They’re a fusion blend of Thai and Spanish dishes, and are the Night Noodle Markets’ longest standing resident – so in my eyes they’ll have it down pat. 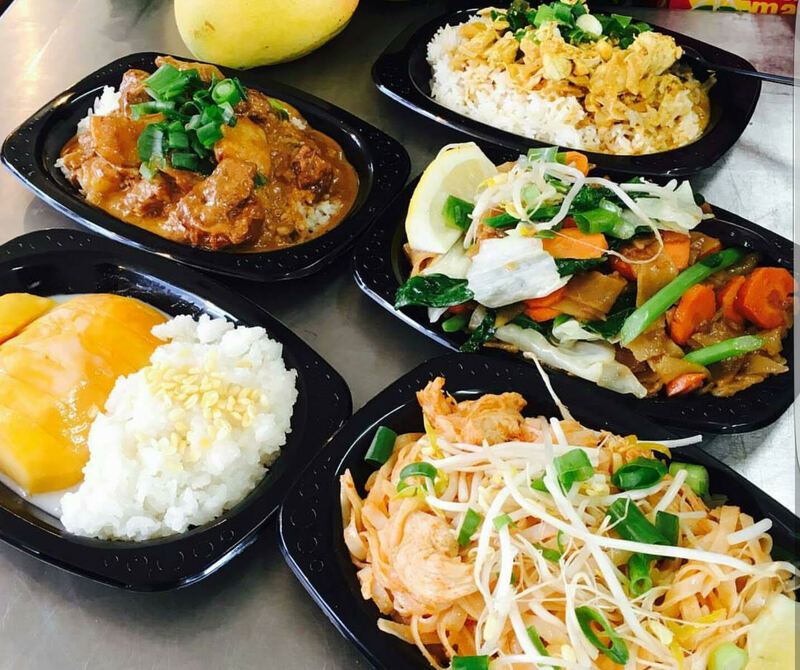 Their menu has Thai style entrees, pad see-iew and their most popular offerings – the pad thai and fresh mango with stick rice and coconut sauce. YUM. And the Spanish influence comes in with their paella, which I think is always a people pleaser at markets. With the end of mango season approaching, this could be your last chance to enjoy everyone’s favourite fruit until the new crops roll back around. 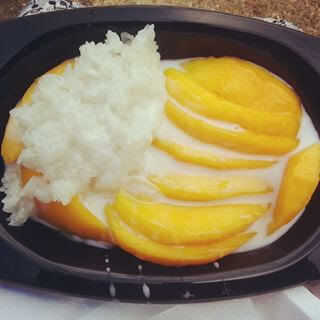 And by the looks of it, there’s plenty of mango in the serving. My favourite way to tackle the markets is going with a big group of friends and making a whole evening of it. 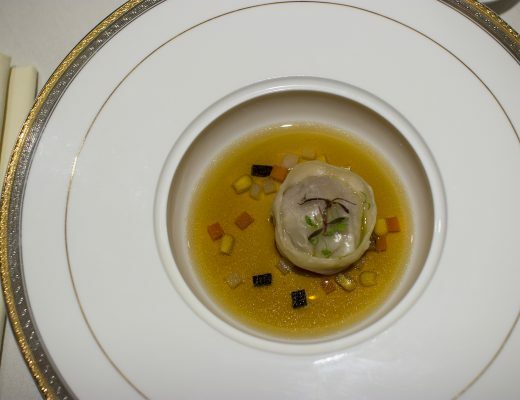 Everyone picks different dishes, spreads apart to grab them then meets centrally to feast away. It’s the best way to try lots of different things (like deep fried fish with special sauce from Sambal Kampung or ayam curry from Dainty Dowager and Low Key Chow House for example as well as the aforementioned goods), and get a feel for what your tastebuds are craving. Go early, bring a light jacket and of course, make sure your appetite is coming to the party. 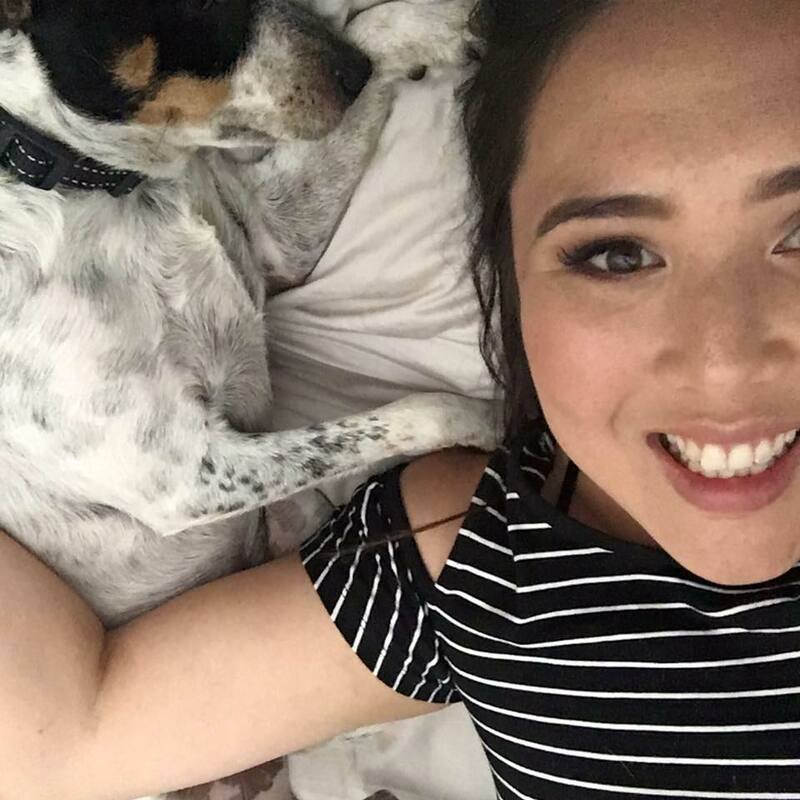 With winter on the fast track our way, the Night Noodle Markets is a wonderful way to get some outdoor time while the weather is still on our side. And make sure you leave the cash at home this year because stands are only accepting payment by card. Considering I never remember to go to the ATM, this is ridiculously convenient for me personally! Don’t forget to share your experience on Instagram with #CelebratewithCiti to go in the draw to win some awesome foodie prizes too. Want the full list of stalls and dishes on offer? Here you go! Shallot Thai Crackling pork noodle Roasted pork belly in caramelised sauce with boiled egg noodles. Note: this is a sponsored post promoting SpanThai and the Night Noodle Markets.